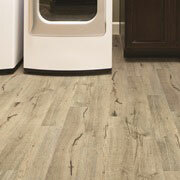 The function of a room impacts how a trade pro decides which flooring material to use. High-use rooms like living rooms or kitchens need a durable surface, while bedrooms and studies can enjoy more luxurious materials. 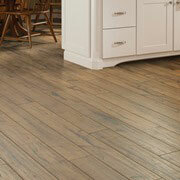 ProSource® of Peoria has all of those and everything in between at our showroom. Trade pros can take advantage of our low wholesale pricing on high-end flooring materials. Carpet flooring is a comfortable and classic choice for homeowners who want to make any room in the house feeling more inviting. At ProSource of Peoria, we have on-hand the brands and styles your clients crave at wholesale prices. Meet with a carpet flooring specialist today. 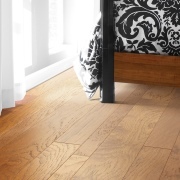 Elevate the aesthetics of any space with luxury hardwood flooring from our showroom. While already a durable flooring material, ensure your client’s floor remains beautiful for years to come with our line of engineered hardwoods, a more affordable and lasting option. Made from several layers of materials fused together, laminate flooring is a resilient and beautiful material that looks great in any home. At ProSource, trade pros will find laminate flooring patterned after hardwood and stone flooring, which makes them a popular choice for clients. 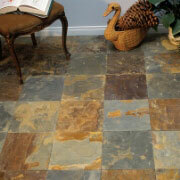 Tile flooring is a great flooring material for busy spaces like kitchens and bathrooms. 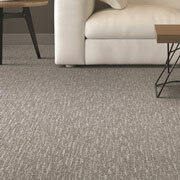 Naturally cool underfoot, they resist moisture effortlessly and can be arranged in any combination of patterns. You’ll find gorgeous tile made from glass, ceramic, and porcelain in our showroom. Luxury vinyl flooring is offered in both plank and tile, and they are styled to mimic the appearance of other flooring materials like hardwood and stone. LVT and LVP flooring can be easily set up in any home, and client’s need to make only a small investment for long-term use and beauty. We are proud to serve Peoria, Pekin, Washington, Dunlap, and Brimfield, Illinois, as well as surrounding areas. The ProSource of Peoria showroom is conveniently located in Peoria, Illinois and serves all of the neighboring cities including Abingdon, Adair, Alexis, Altona, Anchor, Annawan, Arlington, Armington, Arrowsmith, Astoria, Athens, Atkinson, Atlanta, Avon, Bardolph, Bath, Beason, Bellflower, Benson, Berwick, Bishop Hill, Blackstone, Bloomington, Bradford, Brimfield, Browning, Bryant, Buda, Bureau, Bushnell, Cameron, Camp Grove, Canton, Carlock, Castleton, Cedar Point, Chandlerville, Chenoa, Cherry, Chestnut, Chillicothe, Clinton, Colfax, Congerville, Cooksville, Cornell, Cornland, Creve Coeur, Cropsey, Cuba, Dahinda, Dalzell, Dana, Danvers, Deer Creek, Deer Grove, Delavan, Depue, Dover, Downs, Dunfermline, Dunlap, East Galesburg, East Peoria, Easton, Edelstein, Edwards, El Paso, Elkhart, Ellisville, Ellsworth, Elmwood, Emden, Eureka, Fairbury, Fairview, Farmington, Fiatt, Flanagan, Forest City, Galesburg, Galva, Gerlaw, Gilson, Glasford, Good Hope, Goodfield, Grand Ridge, Granville, Graymont, Green Valley, Greenview, Gridley, Groveland, Hanna City, Hartsburg, Havana, Henderson, Hennepin, Henry, Heyworth, Hopedale, Hudson, Ipava, Kasbeer, Kenney, Kewanee, Kilbourne, Kingston Mines, Kirkwood, Knoxville, La Fayette, La Rose, La Salle, Lacon, Ladd, Lake Fork, Lane, Laura, Lawndale, Le Roy, Leonore, Lewistown, Lexington, Lincoln, Lincolns New Salem, Liverpool, London Mills, Long Point, Lostant, Lowpoint, Mackinaw, Macomb, Magnolia, Malden, Manito, Manlius, Mapleton, Maquon, Marietta, Mark, Mason City, Mc Lean, Mc Nabb, Merna, Metamora, Middletown, Mineral, Minier, Minonk, Monmouth, Morton, Mossville, Mount Pulaski, Neponset, New Bedford, New Holland, Normal, Norris, North Henderson, Oakford, Oglesby, Ohio, Oneida, Pekin, Peoria, Peoria Heights, Peru, Petersburg, Pontiac, Prairie City, Princeton, Princeville, Putnam, Ransom, Rio, Roanoke, Rome, Roseville, Rutland, Saint Augustine, Saint David, San Jose, Saybrook, Seatonville, Secor, Sheffield, Shirley, Smithfield, Smithshire, South Pekin, Sparland, Speer, Spring Valley, Standard, Stanford, Streator, Table Grove, Tampico, Tiskilwa, Toluca, Tonica, Topeka, Toulon, Towanda, Tremont, Trivoli, Utica, Varna, Vermont, Victoria, Walnut, Wapella, Washburn, Washington, Wataga, Waynesville, Wenona, Williamsfield, Williamsville, Woodhull, Wyanet, Wyoming and Yates City.